The BJP reportedly objected to the presence of the media, but Kejriwal argued that ‘all discussions should happen in the open’. NEW DELHI: The Bharatiya Janata Party (BJP) on Tuesday alleged that Delhi Chief Minister Arvind Kejriwal insulted their party members when they went to meet him over a controversial sealing drive in the national capital. 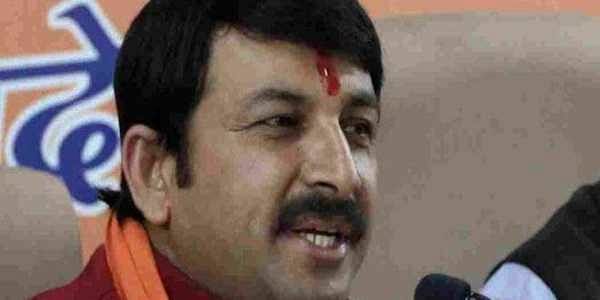 Speaking to media here, BJP leader Manoj Tiwari said, “Today we asked Chief Minister Arvind Kejriwal for a meeting but he created a drama out of it. How can we talk to him if he only wants to politicize the matter? We did not come to create a ruckus. He is not serious about this issue. They insulted us inside”. He added that three BJP MPs, three legislators and two Mayors had gone to meet Kejriwal at his residence. “Kejriwal called around 150 people along with media in his house. His focus was not on solving the problems. Everything was on camera. He has insulted us,” Tiwari stated. Earlier on January 27, the three Municipal Corporations of Delhi (MCDs) decided to file an appeal in the Supreme Court to seek relief for six months from sealing for traders in the national capital. The MCD also decided to stipulate an Additional Solicitor General (ASG) to present their case before the top court. Earlier in the month, the members of the ruling Aam Aadmi Party's trade wing took part in a 'katora' (cup) march at the Karol Bagh market against the MCD's move. Traders, industrialists and transporters, who have suffered huge losses because of sealing and demonetisation, also participated in the protest march. The drive to seal commercial establishments flouting provisions of the 2021 Master Plan began on January 7 in Khan Market, according to the orders of a Supreme Court-appointed monitoring committee. According to the master plan, traders using properties for mixed purposes, have to pay a one-time conversion charge at the rate notified by the Delhi Government.